'You know nothing of my work'. 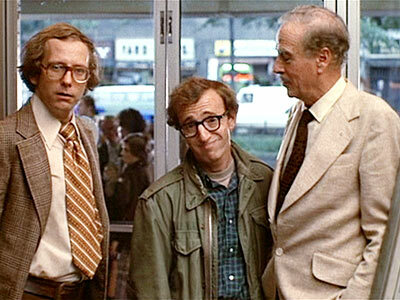 Woody Allen calls on Marshall McLuhan to put right an unfortunate pontificator in a famous scene from Annie Hall. Commercial semiotics claims an intellectual status derived from academia. And undoubtedly the story of how the discipline developed in the UK substantiates this. The worlds of marketing and structuralist literary theory came together in the mind of Virginia Valentine during a lecture from Malcolm Evans. Today these figures, and the others from the early days of Semiotic Solutions stand in our mythos as culture heroes. Through them, and our own varied academic backgrounds, we mediate our right to a kind of moral ascendancy in the marketing world. After all we’re not just researchers – we’re academics too. The dissertation I submitted for my masters in Material and Visual Culture at University College London was an attempt to engage with this myth. In it I tried to get to grips with what is at stake when we reference the academy in the commercial world. This post can only really serve as a prompt for discussion – not even an effective précis of what I wrote. So forgive its narrow scope, though the word limit does serve as a convenient get-out clause. I’ll focus briefly on two figures as a a way to look at the relationship between the commercial and academic: A. J. Greimas and Raymond Williams. I know about Greimas solely because of the semiotic square. So when it came to reading some of his work and attempting to contextualise this tool it was striking to see the sheer complexity of the algebraic system he developed and the small element that this method represents. The square has been wrenched from its context by the inquisitive and magpie (I’m borrowing the magpie metaphor from Andy Dexter, CEO of research company Truth) eyes of one or several researchers and to use it is hardly to employ a Greimasian approach. Personally, though when I have used the semiotic square it has been to connote the depth of our thinking to clients, I don’t think they denote very much at all. Like an astrological chart drawn up by Renaissance magician John Dee they are important in the way the reveal our power and expertise, rather than in the way they inform our clients. Secondly I want to mention Raymond Williams, notable for his powerful presence in our discipline through the ‘Residual-Dominant-Emergent’ code trajectory (a model that has similar magical power to the ‘semiotic square’). Moreover we have truly inverted his ideological intentions. He was trying to create an adequate Marxist approach to culture when he coined the residual-dominant-emergent spectrum. The work of Williams (not someone who self identified as a semiotician) is central to British commercial semiotics. And I think it is slightly callous of us to claim this as a signifier of our intellectual rigour as we have inverted his aims so dramatically. 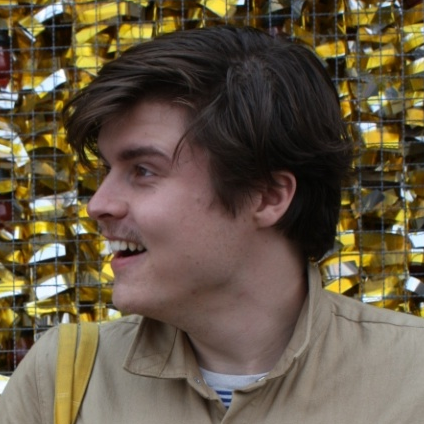 Williams helpfully outlined why the emergent is so valuable in capitalist society with a phrase that spookily pre-empts the way we speak to clients today: “if the thing is not making a profit or if it is not being widely circulated, then it can for some time be overlooked, at least while it remains alternative”. However, when he pointed this out, I don’t think that he hoped his theoretical framework would function in the way it has in commercial semiotics. This isn’t an attack on the industry. On the contrary, I would emphasize the fact that our discipline is a highly effective one, and that the techniques we employ provide valuable output for clients. But this is a pragmatic and not a theoretical discipline, at least not in the academic sense. It is this technological quality that separates us from the Academy (and, as an aside, which makes new ‘Impact’ measures such a threat to quality social science research). So what of academia? Of course, academia has been hugely important to many of us personally and to our industry as a whole, But I think the term ‘commercial semiotics’ points to a much more academic mode of working than is justified. Maybe there’s some latent guilt in the industry about betraying the academic, critical roots of the models we use – so we try to cling on to our connection with these origins. It has also been valuable to employ a mythology in order to provide our clients with what McLuhan has called an ‘instant vision’ of a more complex system. Some clients balk at this academic mythology. And I believe we have outgrown it, just as as qual has outgrown psychology and PR has outgrown Bernays. It is my contention that we are underselling ourselves, not overselling ourselves, by clinging to the reassurance that we are not ‘just’ market researchers; and imagining for ourselves the mystical powers of the academic. See Woody Allen chastise the intellectual pontificator here. Imagine if Woody Allen overheard one of us talking about residual-dominant-emergent codes, and conjured up Raymond Williams instead? The topic is interesting indeed, but, in my opinion, especially nowadays “academia” is a part of the economic system like never before and it “produces” HRs mainly for business sector. That’s why I personally don’t feel any “guilt” about my direct connection with business. If you are able to explain to client how semiotics works and how could help, there is no place for mythology of mystification. I think that an “academic mythology” feeds the academy itself and satisfies the need for different-ness and uniqueness, but when the salaries are mentioned, suddenly we start talking about business:-).